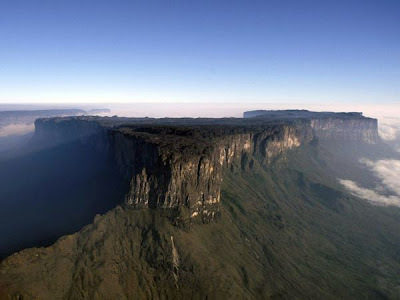 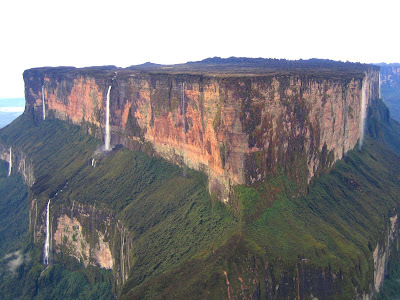 Mount Roraima is about 9 miles (14 km) long and 9,094 feet (2,772 metres) high, it is the source of many rivers of Guyana, and of the Amazon and Orinoco. 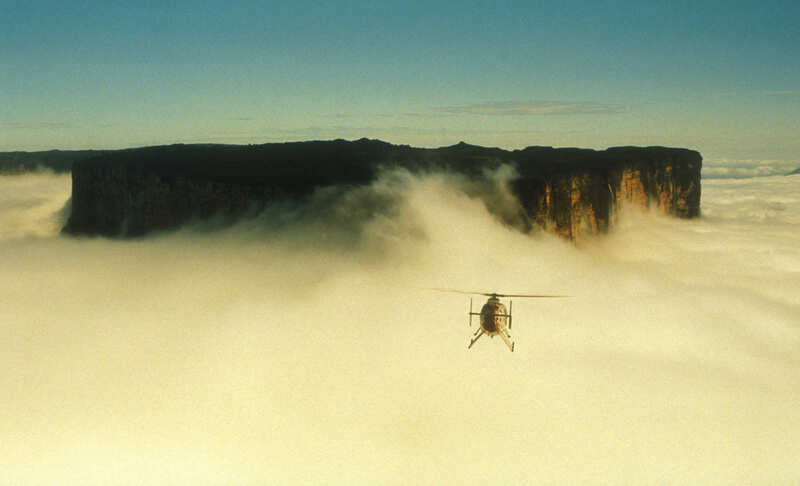 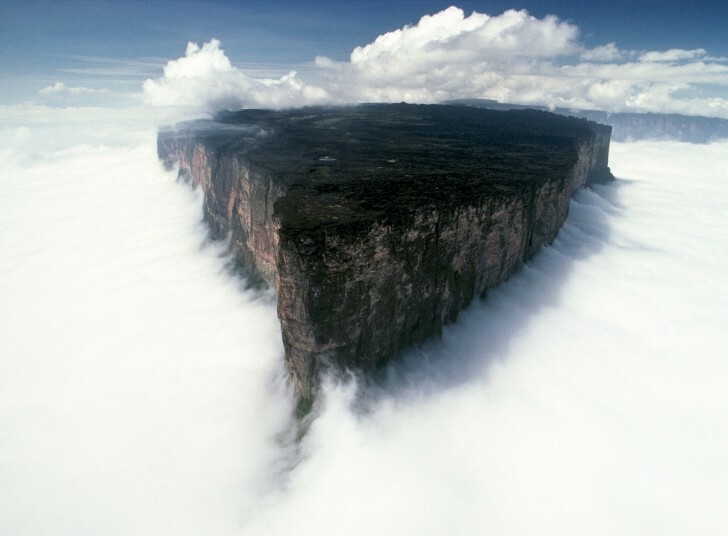 Mount Roraima creates some of the highest waterfalls in the world over the sides (Angel falls is located on a similar tabletop mountain some 130 miles away). 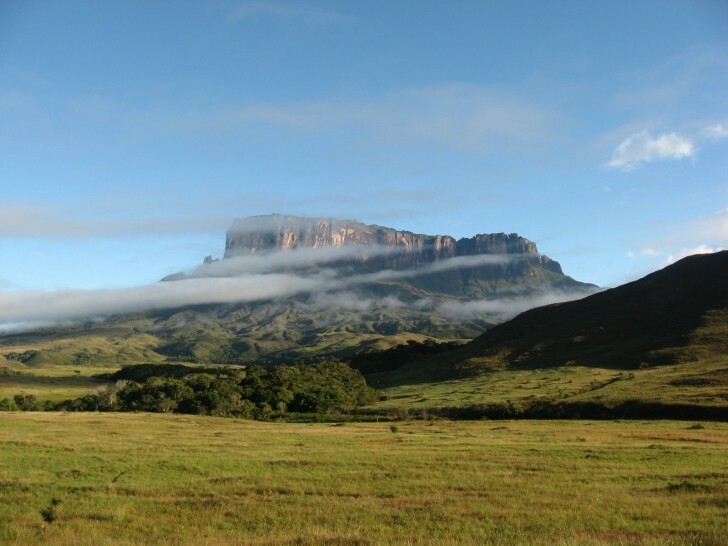 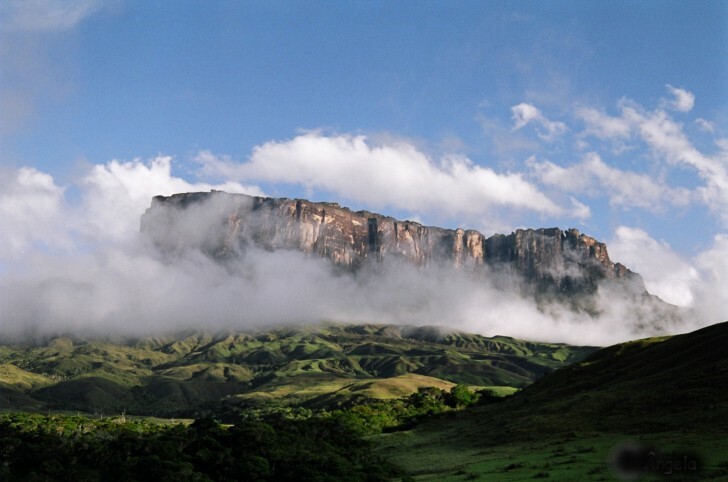 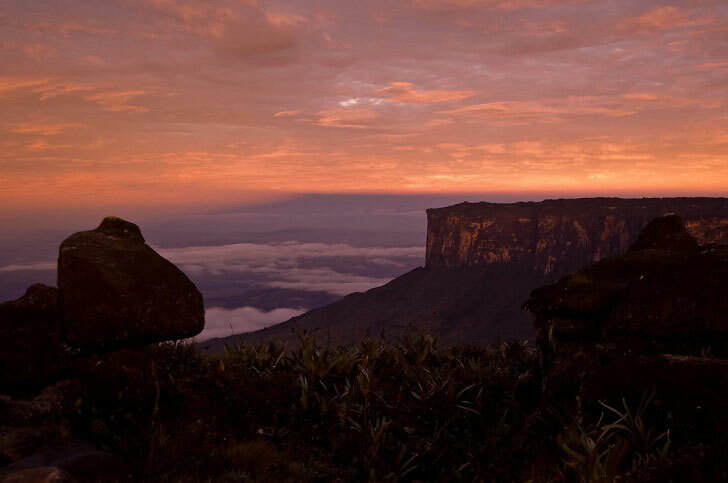 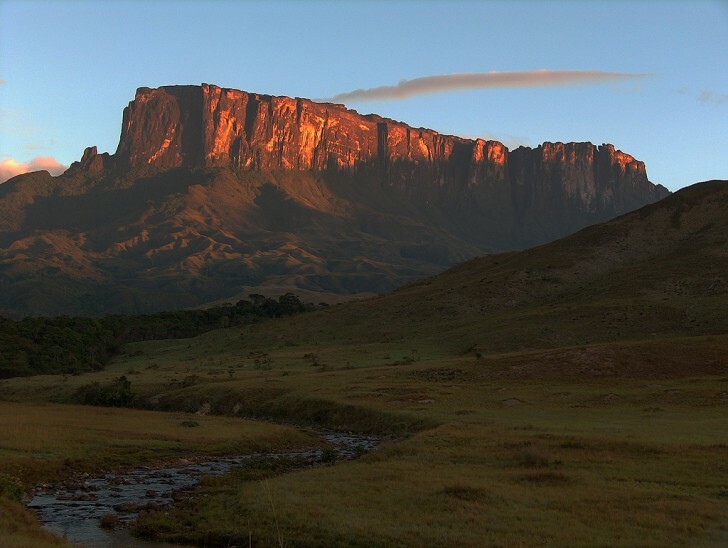 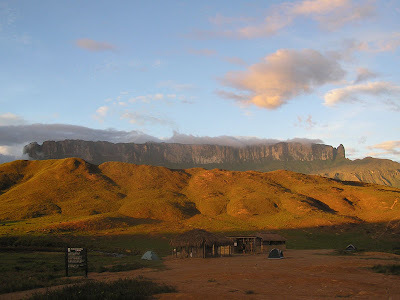 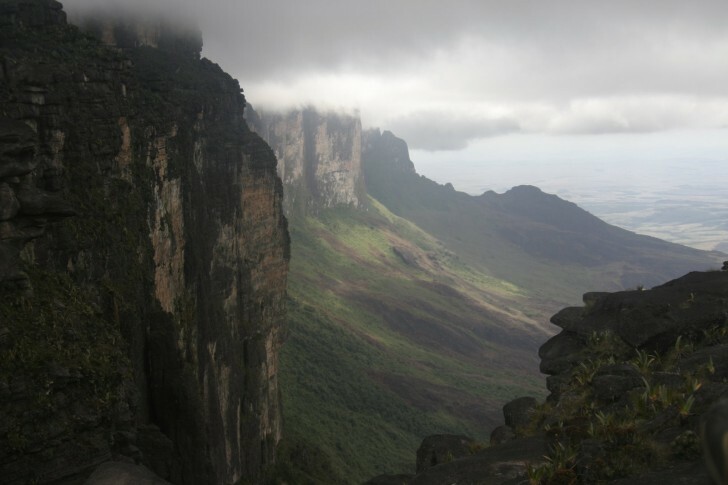 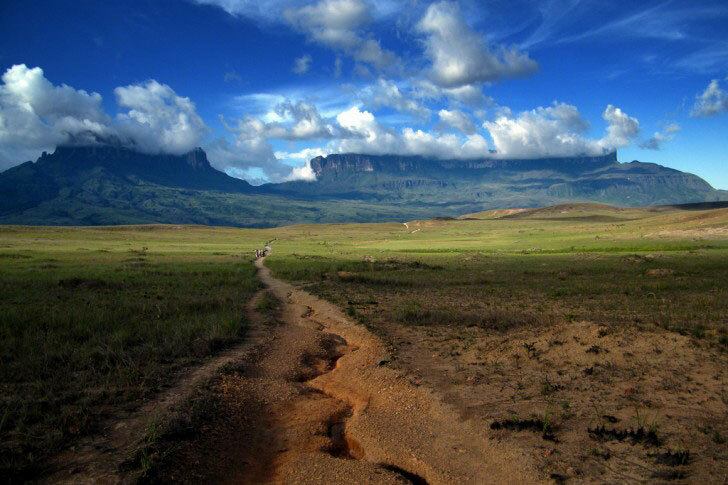 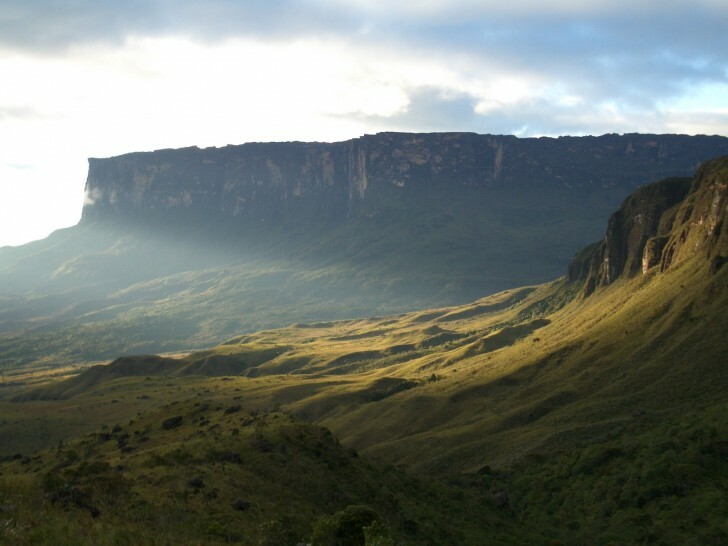 The mountain marks the border between Venezuela, Brazil and Guyana, although more than three quarters of the mountain is in Venezuelan territory. The tabletop mountains of the park are considered some of the oldest geological formations on Earth, dating back to the Precambrian Era, some two billion years ago. 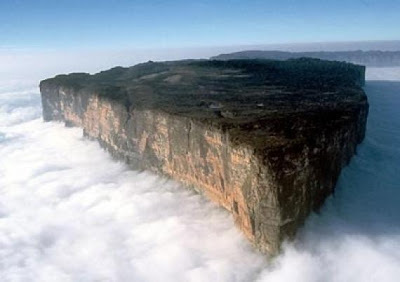 The average height of the plateau is about 2,500 metres (8,200 feet), making it the highest point for distance of 549.44 kilometres (341.48 miles) in any direction. 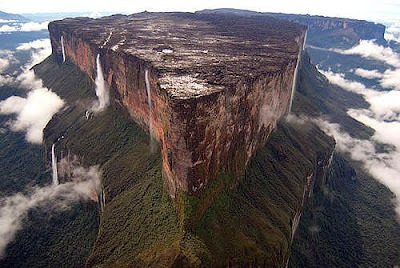 Mount Roraima, part of Venezuela's 30000-square-kilometer Canaima National Park, is the site of the highest peak of the country of Guyana’s Highland Range.